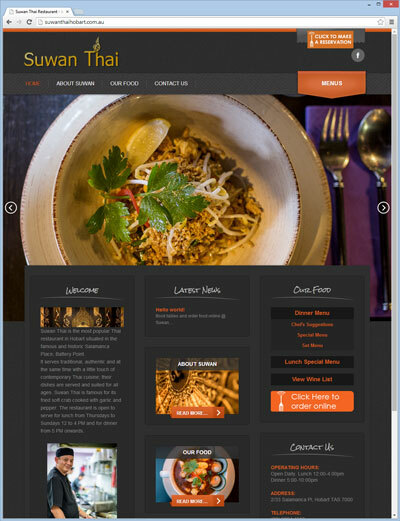 Suwan Thai is one of Tasmania’s premiere Thai restaurants, located in the heart of Hobart’s historic Salamanca place. Broughton Designs has a special menu of website packages specifically for restaurants. Feel free to take a look at the packages.